To those that don't know this, one of my favorite things about moving from the south to the north is the weather. The nice weather. The seasons changing weather. This boiling heat nonsense is why I left the south. Now that I'm done venting, allow me to share my favorite thing from this weekend. My husband and I have been living in our house for five years. We moved in during the middle of summer, right wen the peonies were pretty much done for the season. So sad, yes, but moving on, I really, really ,really wanted to move the bush. 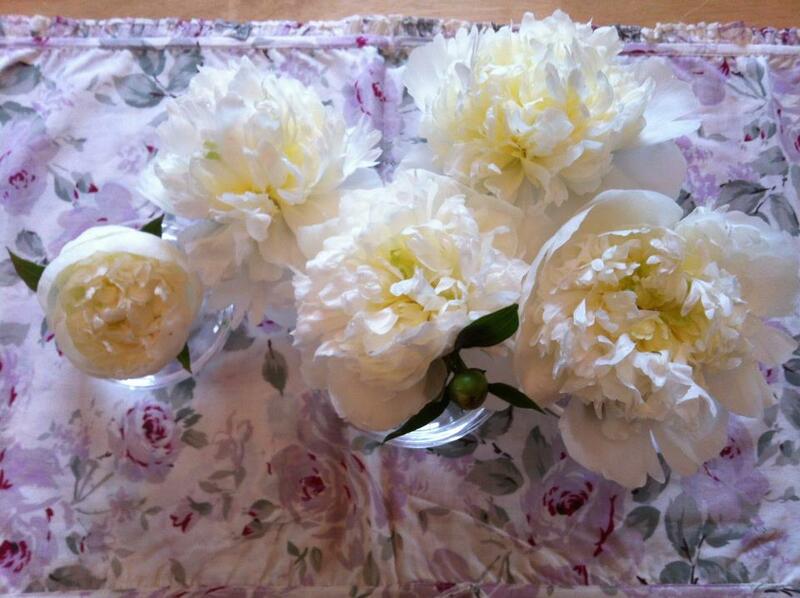 We had one peony bush. One very large peony bush. And I mean large. Easily 25 years old large. In the fall, we dug it up and split it. I had absolutely no idea what I was doing. I googled to find out how to move a flower bush. So.... I dug it up and took an ax to it to split it. I split it into ten smaller plants and redistributed it all along our backyard fence. My goal was for beautiful blooming peonies all throughout our backyard. Year one went by- no blooms. Year two came- very few blooms. And as the years went on, a few more bloomed each year, nothing significant. Until this year. It is a full-fledged peony explosion in my backyard. No joke. This bouquet above is my FIFTH bouquet I clipped in four days. 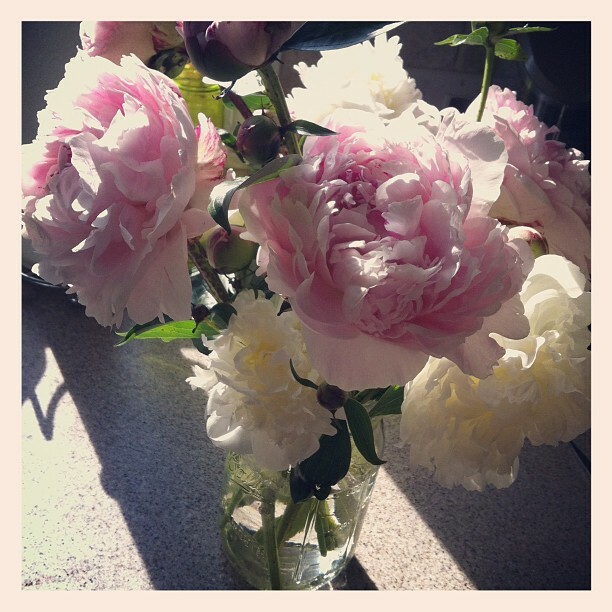 The sad thing about peonies is that once they're clipped and in a vase, they don't last too long. But the scent is incredible and one bouquet can fill an entire house with it's heavenly aroma! 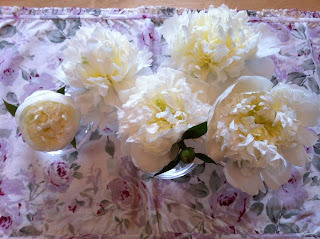 Check out my white peonies in my gorgeous hand-blown vase from Maine!